What can't you get done in WoW? What can’t you get done in WoW? There’s a hat that drops from both Heroic and Mythic Cathedral of Eternal Night. I can’t get this hat to drop. It’s not the most important item I’m farming — that would be my shoulders, which I still don’t have — but considering I’ve cleared Cathedral every single day (and twice on Tuesday when Mythics reset), and I still haven’t seen it drop… I’m a touch frustrated. Why? Why won’t this hat drop so I can complete the dream transmog for my Death Knight? Similarly, a friend of mine has been trying to get a 2-handed weapon upgrade forever. 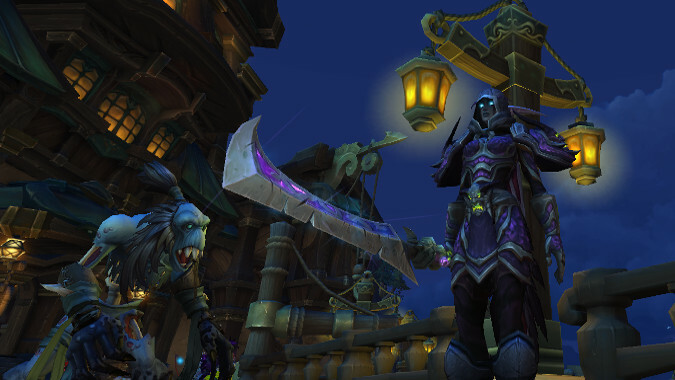 Even when there was an Emissary that gave my DK a 2-handed weapon, his Warrior only got a 1-handed weapon from the same Emissary. Needless to say, I feel really bad for him. At the same time, another friend has been trying to get into Island Expeditions, but he plays when everyone else is asleep, so it hasn’t happened yet. Is there anything in Battle for Azeroth you can’t get done? A drop that won’t drop for you, a boss or dungeon mechanic that’s frustrating you in some way? Like Temple of Sethraliss, which has those spark puzzles that I simply can’t get past because I literally can’t see them? I actually had to die and get resurrected on the other side of them just to get past them because it simply isn’t a visual challenge I’m up to meeting. Have you encountered anything like that? I hope not, but if so, share it with us. What stumbling blocks have you encountered?